Michelangelo di Lodovico Buonarroti Simoni’s products range from sculptures to painting, poetry, engineering and architectural design, through the refinement of the High Renaissance and into the artistic age of Mannerism. He is considered by many to be the greatest artist of all time, and a major influence for Western Art. In 1549 at the age of 72, 30 years after completing the frescos in the Sistine Chapel, Michelangelo bought and periodically lived in a villa in Tuscany, halfway between Florence and Siena, that stayed in the Buonarroti family for over 300 years. Located on over six acres above rolling hills, the 12,915 square feet of living space is contained in three multi-story buildings, including an ancient tower believed to date back to the 11th century. 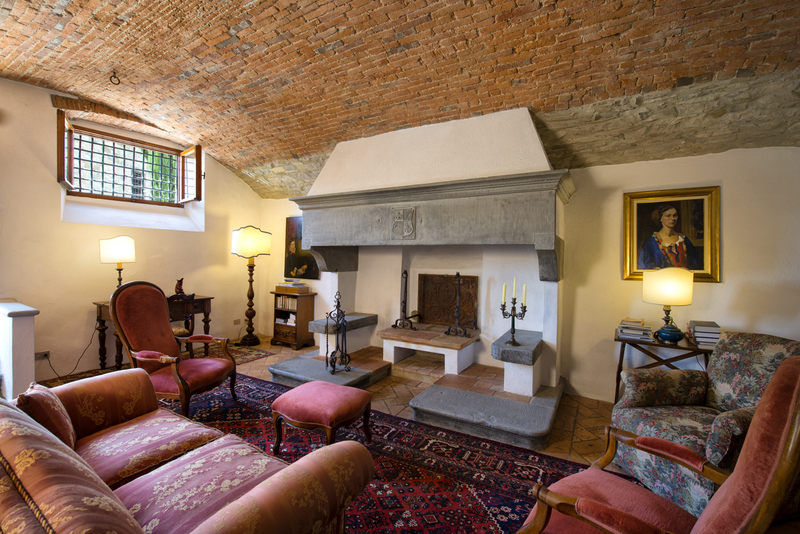 The original architecture is accented throughout with large stone fireplaces, and beamed and barrel ceilings. Consisting of eight bedrooms and seven full baths, all rooms pay homage to the period, with modern conveniences, though all available, blending into the background. The kitchen has all the rustic romance of the early centuries with high-end appliances that do not take away from the original architecture. 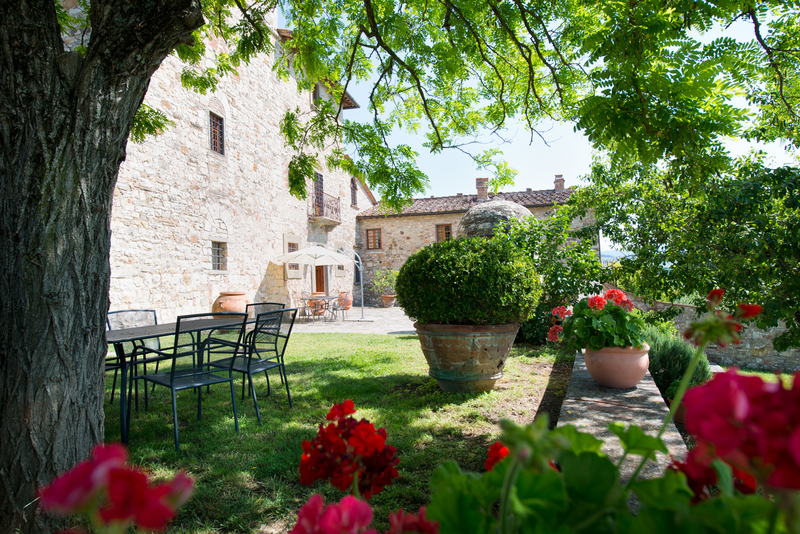 Grounds are park-like with lawns and mature plantings with a lemon orchard, olive grove and Chianti vineyards, as well as the original olive oil mill. Born in 1475, it was clear to Michelangelo’s banker father that his son’s only interest was in the arts, so he apprenticed him with painter Domenico Ghirlandaio, where he learned the art of fresco painting. Recognizing his advanced talent, Ghirlandaio suggested he move to the palace of Florentine ruler, Lorenzo the Magnificent, to study sculpture in the Medici family sculpture gardens. During this time Michelangelo became exposed to important poets and scholars who would influence his future. He also obtained permission from the Catholic Church to study cadavers to learn anatomy and create two relief sculptures, Battle of the Centaurs and Madonna Seated on a Step, when he was just age 16. He would soon go on to the Medici Chapel and the Laurentian Library, and later, was appointed chief architect of St. Peter’s Basilica in 1546. Some of the most notable of his works are the statues of David and Pieta and the ceiling frescos in the Sistine Chapel in Rome, including The Last Judgment. 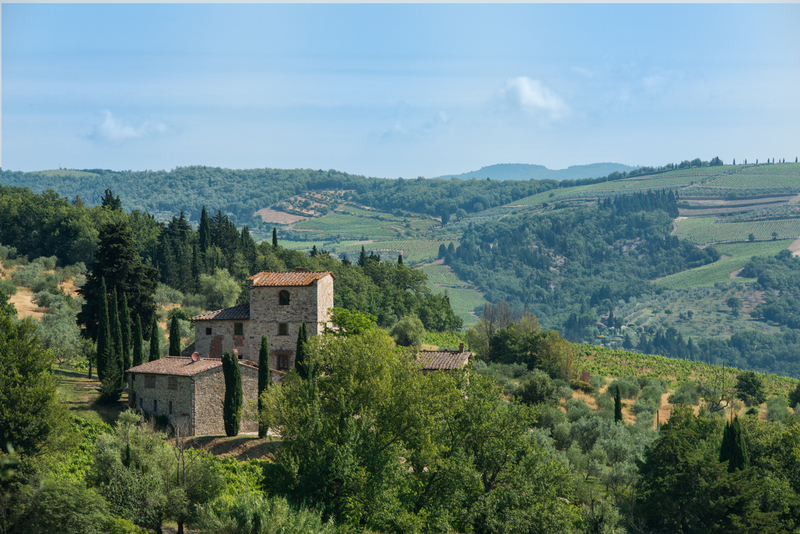 The Tuscan home has been preserved and restored by its current owner and is now for sale at $8,162,821. The original deed held by Michelangelo, wherein he was described as a “dear sculptor and Florentine citizen,” will be passed on to the new owner. How and Why Winterizing a Vacant Home?